Learn how to schedule meetings in Zoom. 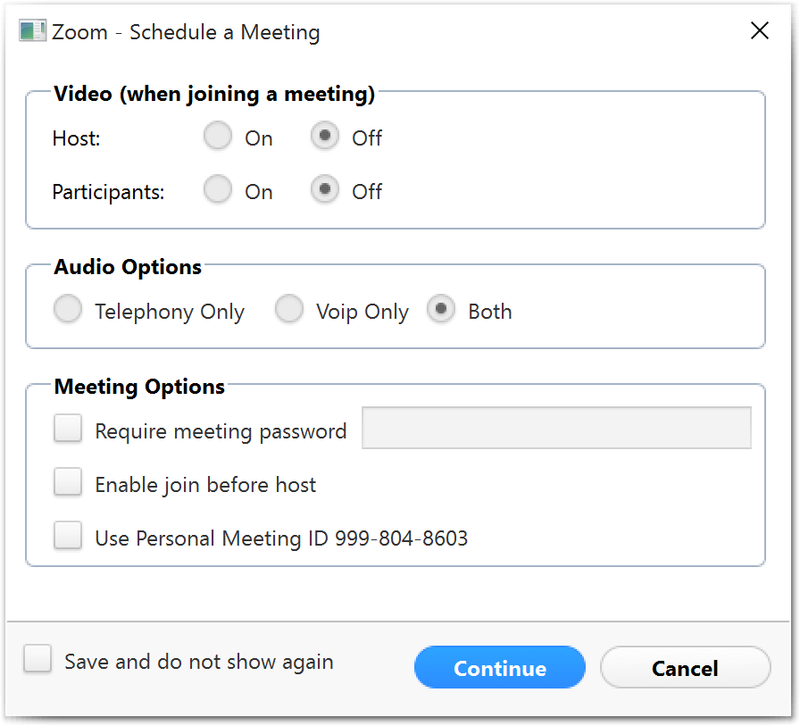 Before you can schedule a meeting, make sure you have installed your Zoom client or plug-in of choice. The Zoom Microsoft Outlook Plugin is designed to make scheduling a meeting in Microsoft Outlook quick and convenient. The Outlook Plugin will also sync free/ busy times to the Zoom Client based on your Outlook Calendar events. Open MS Outlook and navigate to the calendar. Click the Schedule a meeting button. The Zoom-Outlook interface will open. Enter the meeting-specific details and click Continue. Zoom will populate a new MS Outlook invitation with the meeting’s accessibility options. Complete and send your MS Outlook invitation. Choose Zoom from the top-right corner. You will be prompted to choose Schedule a Meeting or Start a Meeting. The Zoom Meetings application will start. Zoom brings video conferencing, online meetings and group messaging into one easy-to-use application. 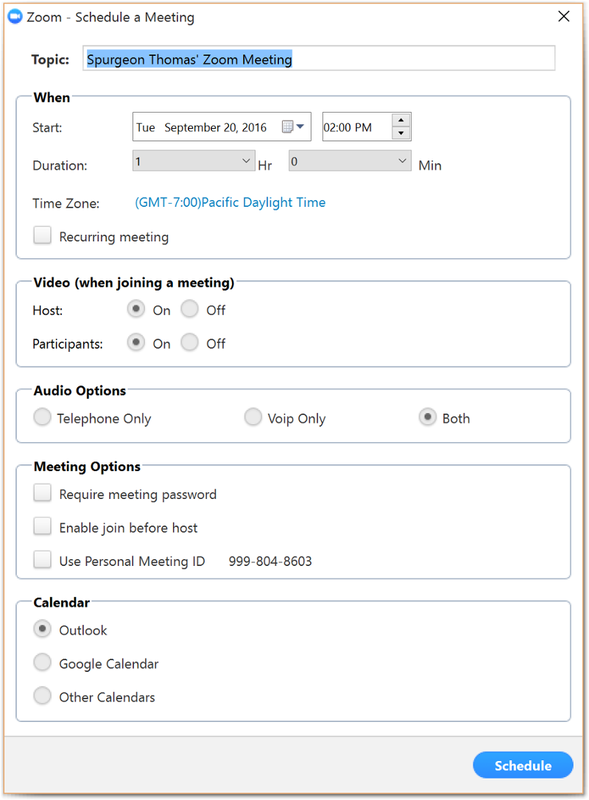 The Zoom browser extensions allow participants to schedule Zoom cloud meetings directly from the Google Calendar and Firefox. You can start an instant meeting or schedule a future meeting with a button. Open the app and login with your credentials. Choose Start or Schedule a Meeting. Note: Users are provided the ability to schedule meetings with a Personal Meeting ID (PMI): a static ID that will never expire. Your PMI is assigned to you automatically as a permanent virtual room. You can start it at any time, or schedule it for a future use. Pro accounts can customize the 10 digit ID.